Mobile Grid Client is the longest running of the Android clients listed on the TPV Directory. A text-only application, it provides a range of options, including OpenSim support – but these are subject to the subscription package taken, one of which must be selected after an initial 14-day trial period. “Standard” version: L$250 per month, with a selection of features disabled (e.g. 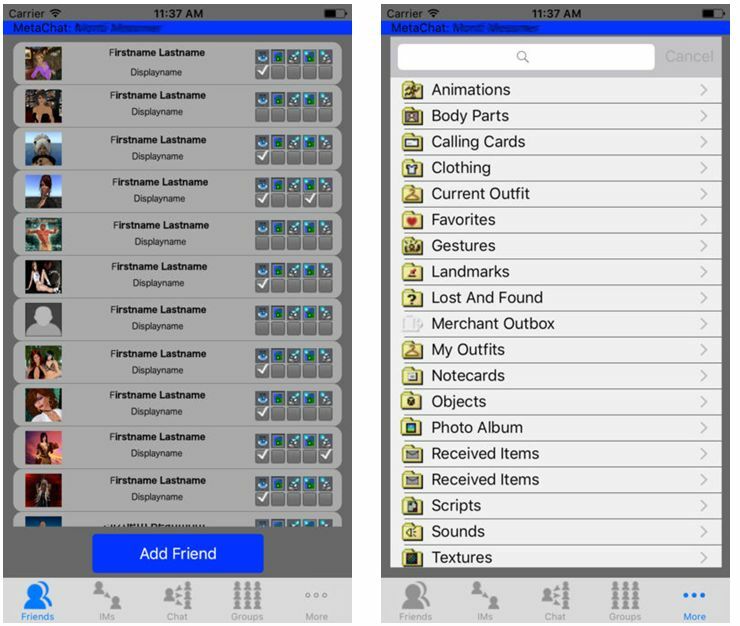 giving inventory to others, creating / copying notecards, changing your active group, paying avatars, OpenSim support). “Pro” version L$450 per month / L$4500 per years, with access to all available features. Please refer to the Mobile Grid Client licensing page for a breakdown of the application’s features by subscription model. In 2011, this was a reasonable application, given what was available at the time. Today, however, and even allowing for the subscription payments being non-recurring (so opting out is easy at the end of a subscription period), when compared to Lumiya (below), Mobile Grid Client is notably over-priced, even at the “Standard” subscription model. First released in 2012, Lumiya was, up until the start of 2017, routinely updated to keep pace with the latest viewer releases from Linden Lab as well as to provide bug fixing issues with various android platforms. This application has such a well-rounded suite of capabilities, including plug-ins for voice and improved rendering (both available for free), that it pretty much matches the “full” viewer in features and functions, up to and including Bento support (January, 2017). It even has VR (Cardboard) support! Lumiya is the Rolls Royce of mobile Second Life / OpenSim clients, although development work seems to have frozen. There have been recent issues for some with the use of voice in recent months. Even for occasional text use, inventory management, etc., this is the go-to Android client, while the 3D world rendering adds a whole now level to mobile SL / OpenSim use. True, the graphics are not as crisp and fresh as the “full” viewer, but considering everything Lumiya is packing into a hand-held device and it has not been developed within major financial input and technical support, it is not to be dismissed on that basis. 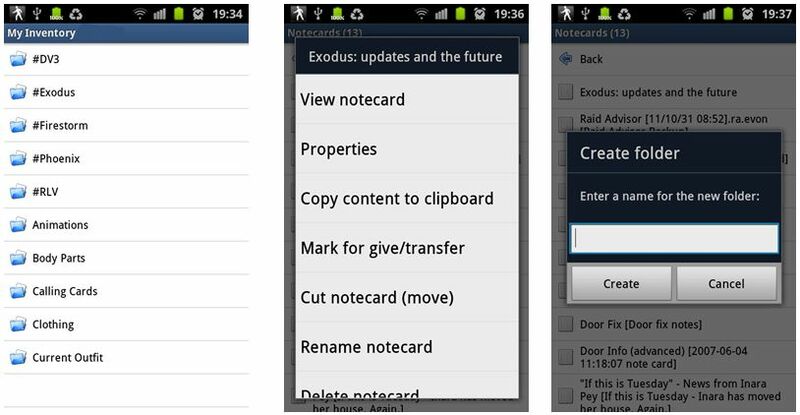 Very much the standard-bearer for what can be developed by way of mobile SL / OpenSim applications using Android. 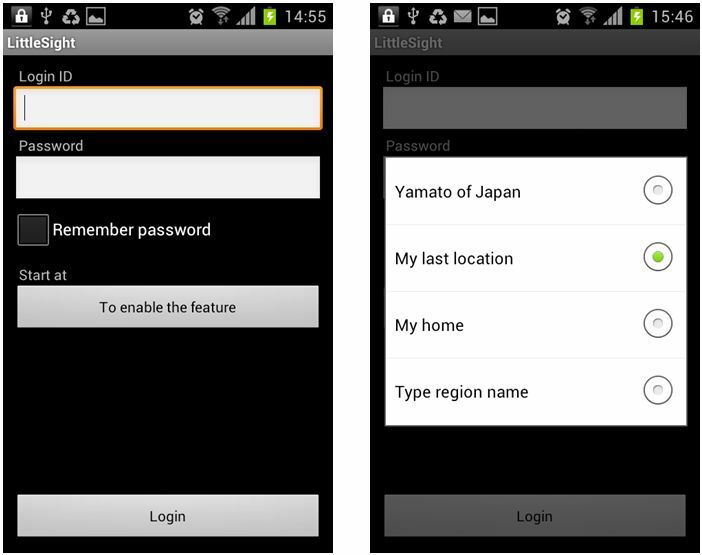 Appearing around the same time as Lumiya, LittleSight provides basic text chat and IM capabilities to users – albeit with ads displayed periodically. Additional capabilities, such as teleporting, and the removal of the ads can be had on payment of a small fee. The most limited of the three Android clients, and one with reported issues for users trying to log-in with the latest version. While I encountered no problems myself with logged-in on re-installing LittleSight on my tablet device, I did find the map failed to render, but that seemed to be the only issue. Given the need for payment, and the sheer volume of capabilities presented in Lumiya, unless the latter expressly will on work on a particular device, it is hard to see why anyone would opt to use LittleSight. You may not need all the tools available in Lumiya, but having them available just in case is not necessarily a bad thing. MetaChat was developed in response to the demise of Pocket Metaverse (which is no longer available off of the Apple Store, but previously downloaded versions should work on iOS versions earlier that iOS 11). The ability to add accounts from different grids with different start locations. Search for an avatar by name. Chat locally or via IM. View group information, join Group chat and / or send Group notices. List inventory and preview textures and images. Teleport to landmarks and move around a mini-map. I’m not an Apple user, and so cannot assess MetChat directly. However, I have spoken the developer, who is intending to continue with development, allowing for the convoluted demands of Apple’s store listing requirements. Available for Windows, Mac and Mac OS. While not strictly a “mobile” client in the fullest sense of being available on the majority of tablets and smartphones, Radegast can be used via laptop and wifi, and offers a further alternative means of accessing Second Life via a suitable laptop whilst on the move. Like Lumiya, Radegast is a feature-rich lightweight client. Primarily text-based, it does include a 3D rendering capability, but this is by no means as complete as Lumiya’s and does not appear to render mesh avatars correctly. It also includes good support for visually impaired users. It also respects RLV / RLVa. I don’t suppose you have a contact for the Meta Chat developer do you? I bought the app but have never been able to get it to work. SL denies the login attempt with my username and password. I think it might relate to the fact that the app assumes a second name. I don’t have a second name (my desktop client doesn’t submit a second name for login, just name and password). Although I have tried to use ‘resident’ and ‘Resident’. But it just says username and password not recognised. Frustratingly I have reached out twice to the developers via the link given in the iOS App Store and both my messages have been ignored. Now for a few months. This lead me to suspect they have ditched the app and no longer support it. But your post here suggests otherwise. I can’t vouch for the app in terms of how it is currently working, as I’m not an Apple user, as noted. However I’ve not heard of any issues with log-ins, and the developer is definitely still working on it (although he was – pardon the pun – snowed under with work and personal matters at the back end of 2018). “I have reached out twice to the developers via the link given in the iOS App Store” – have you tried the contact form on the MetaChat website? If you have without success, I can try pinging him on the matter via direct e-mail. Thank you, and yes I have sent the contact form twice. No reply. I thought that might be the case, just wanted to be sure 🙂 .